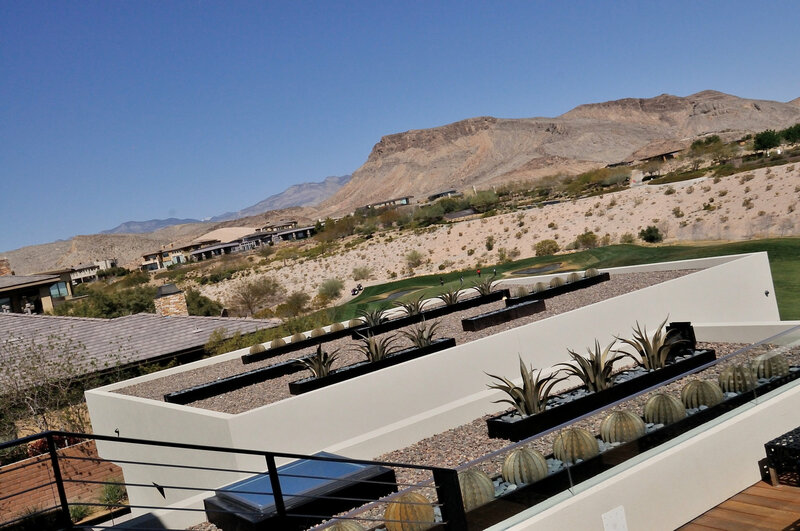 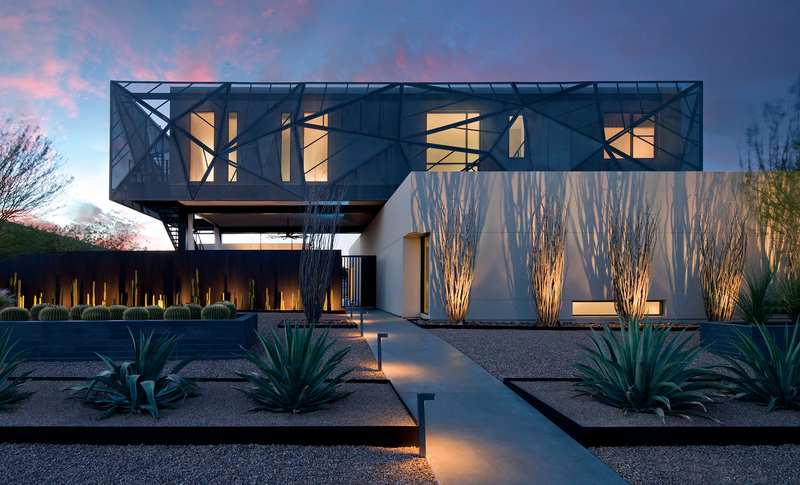 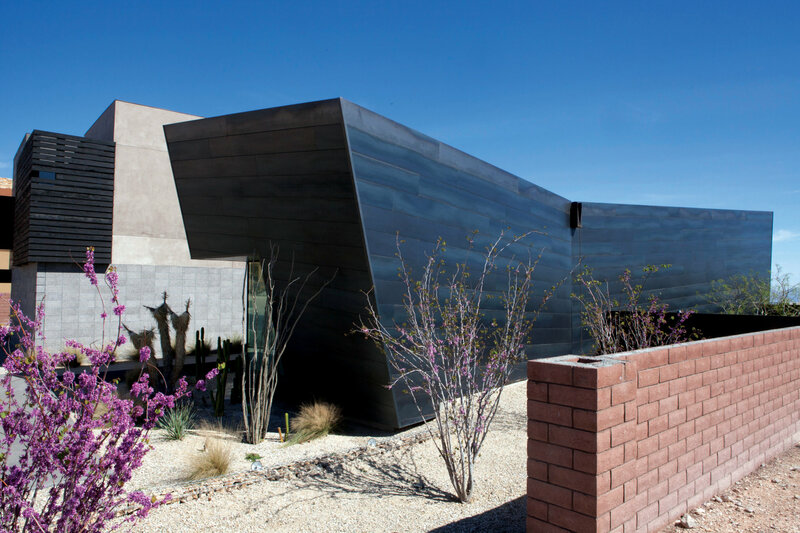 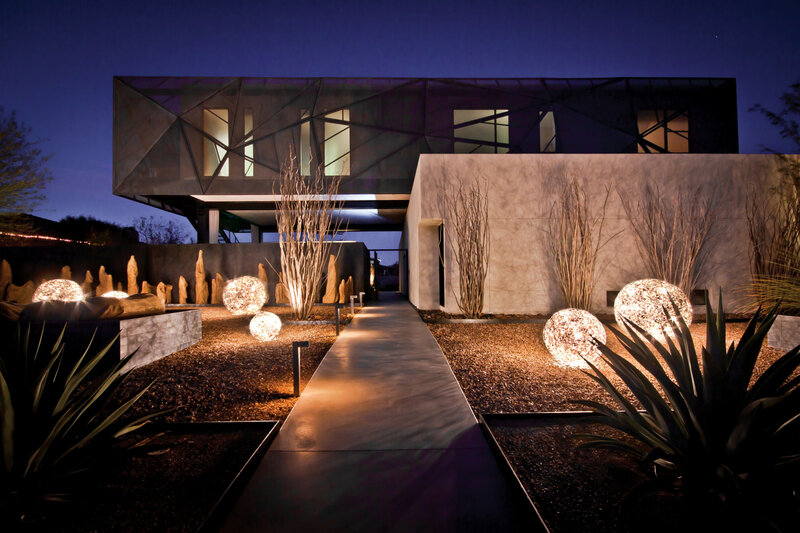 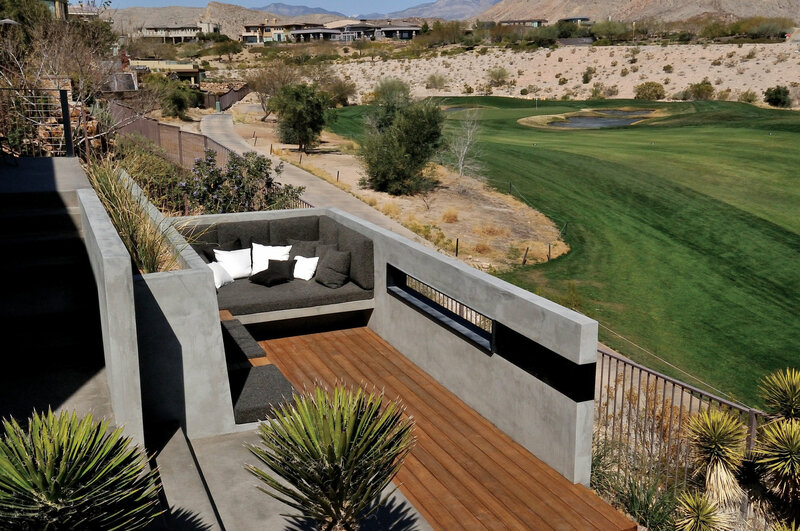 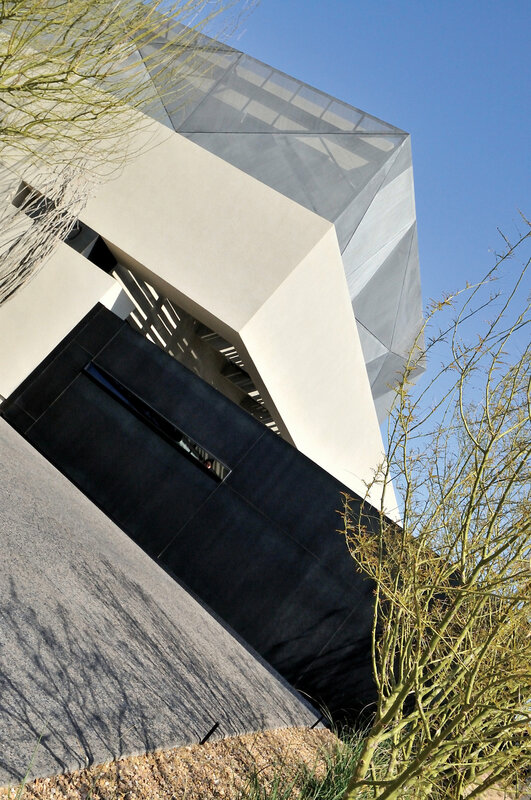 Tresarca is an architectural masterpiece built by Unique Custom Homes and designed by assemblageSTUDIO in Las Vegas. 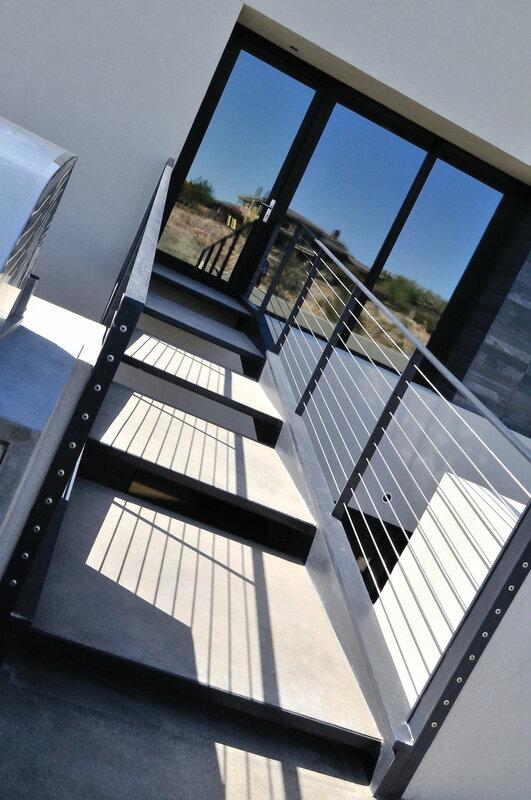 JD Stairs had the privilege to create many one-of-a-kind design features for this ultra-contemporary, 8,000-square-foot home. 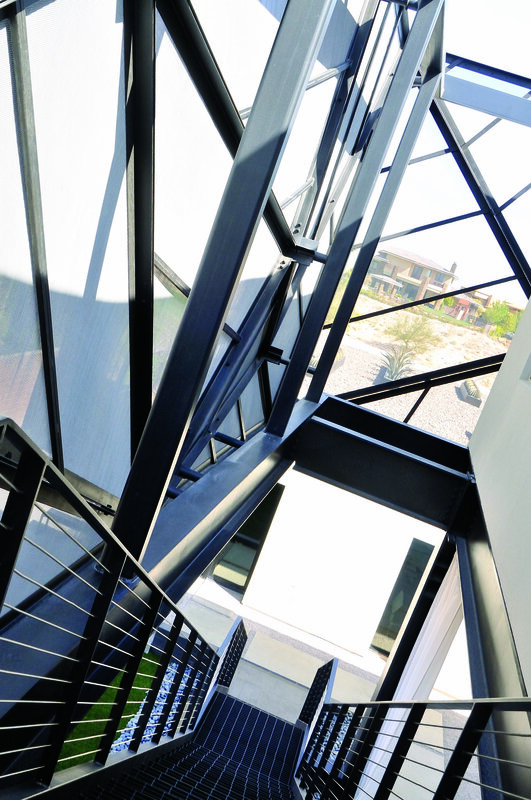 The most visually extraordinary are the massive woven wire mesh screens – custom steel triangles – that encircle the entire upper floor. 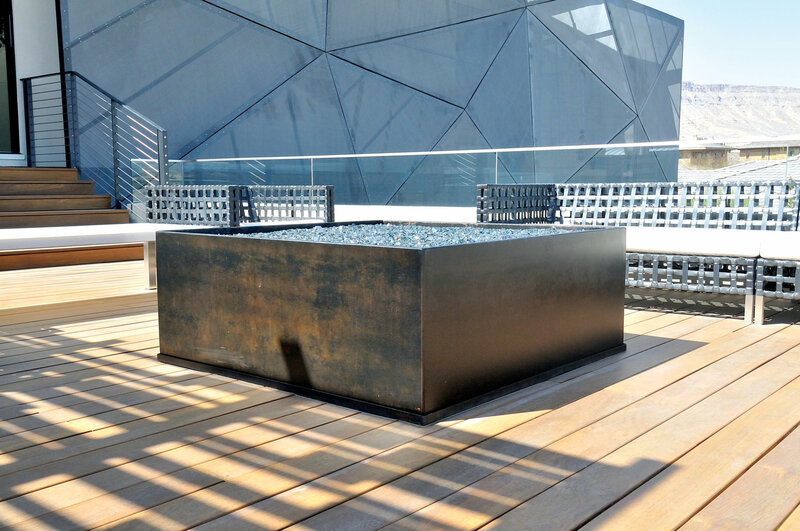 It diffuses the harsh sunlight and creates a delicate filter of shadows on the interiors. 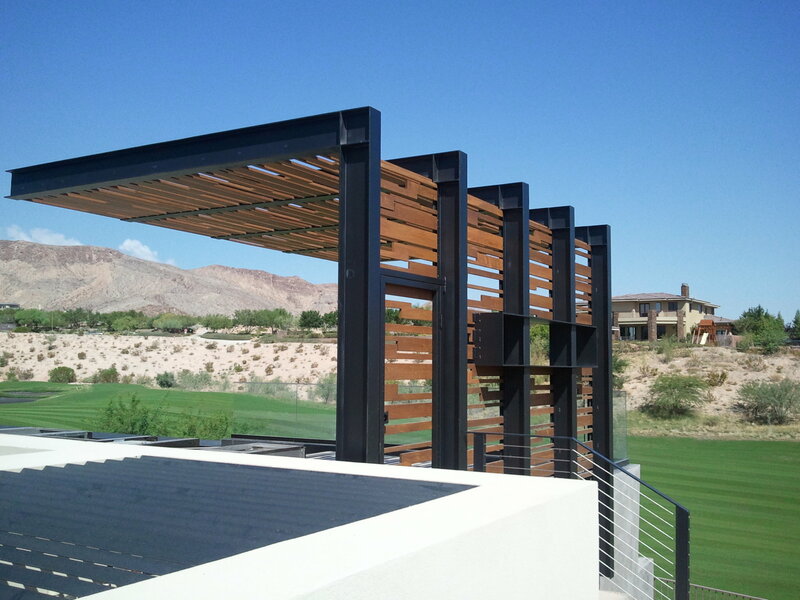 Distinctive louvers, fire box, doors, planters, gates, wall boxes and privacy fencing carry on the modern style so beautifully they are transformed into works of art. 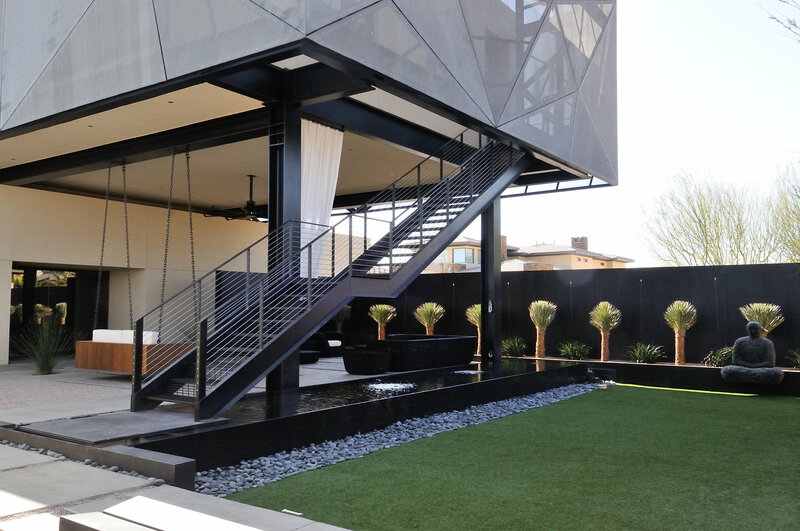 A stunning exterior staircase gracefully transports you from the master suite, over a reflecting pool, to the office and exercise room. 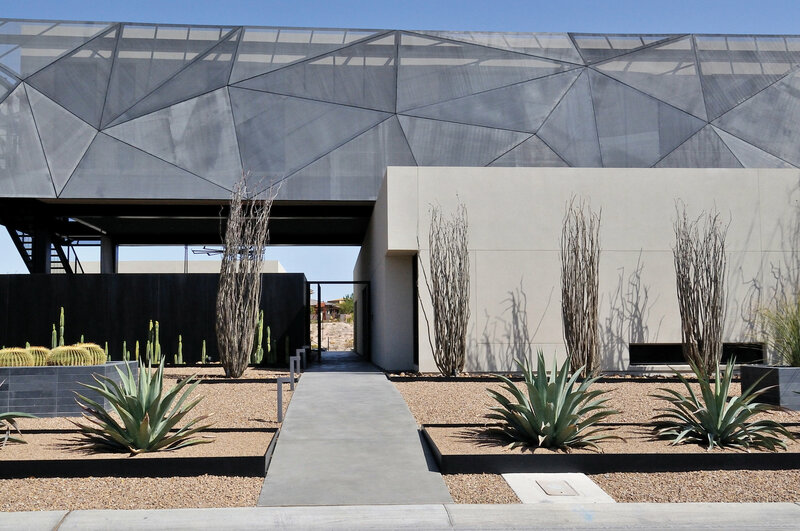 The massive, panoramic entry gate glides open effortlessly, revealing more of this very special dwelling. 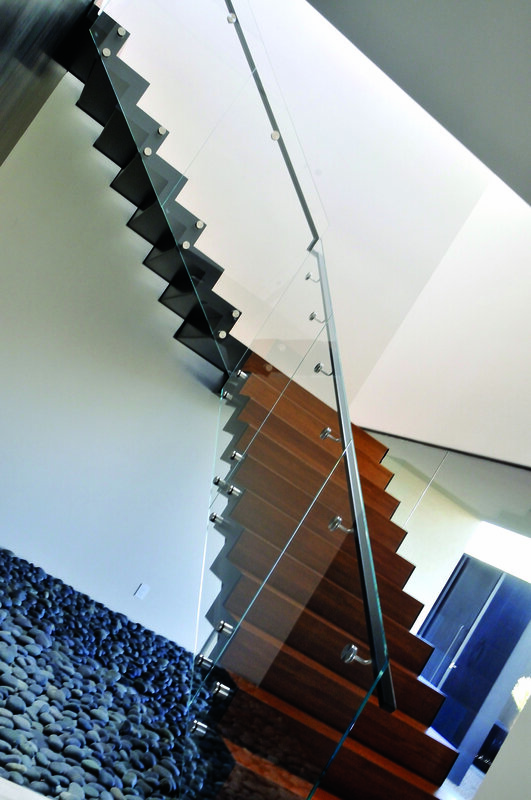 Staircases and handrails, crafted from super-clear starfire glass, bamboo and half-inch thick steel, define spaces and create dramatic focal points. 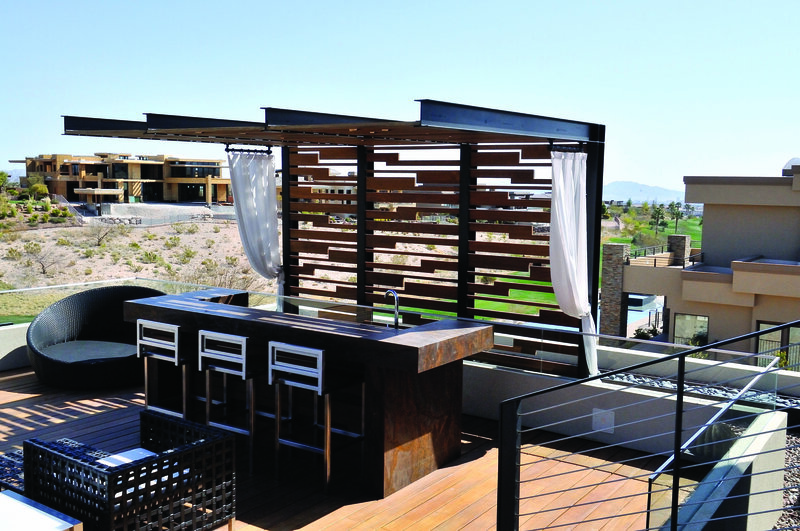 While a bridge transports you over a courtyard to the pool deck and cabana bar. 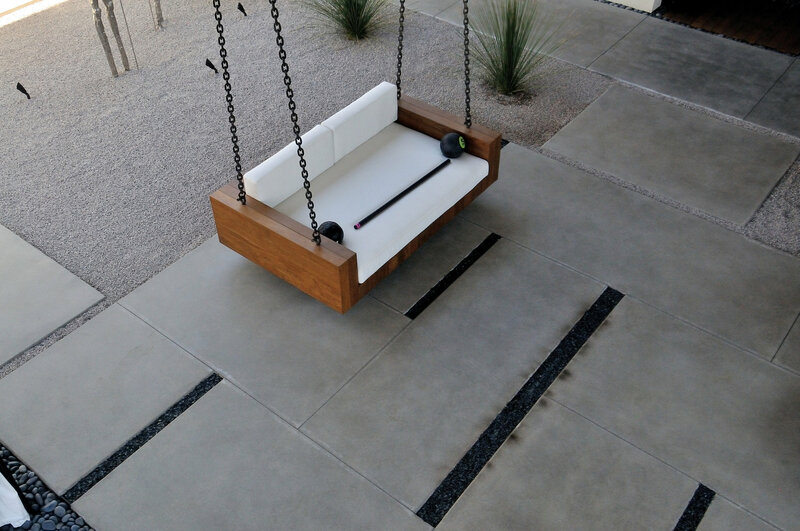 To further enhance the space, our metal and wood artisans created blackened steel wall cladding, a sleek aluminum desk, barn door, chain curtains, the address box, a floating swing bed and plaque.